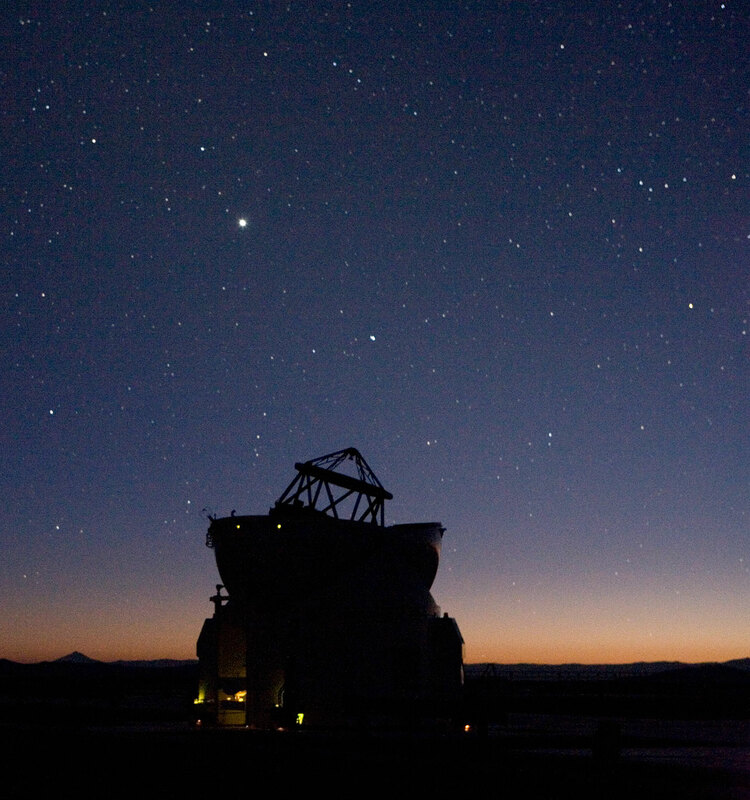 On the night of 15 December 2006, the fourth and last-to-be-installed VLTI Auxiliary Telescope (AT4) obtained its 'First Light'. The first images demonstrate that AT4 will be able to deliver the excellent image quality already delivered by the first three ATs. It will soon join its siblings to perform routinely interferometric measurements. 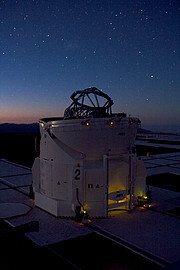 The VLT is composed of four 8.2-m Unit Telescope (Antu, Kueyen, Melipal and Yepun). They have been progressively put into service together with a vast suite of the most advanced astronomical instruments and are operated every night in the year. Contrary to other large astronomical telescopes, the VLT was designed from the beginning with the use of interferometry as a major goal. 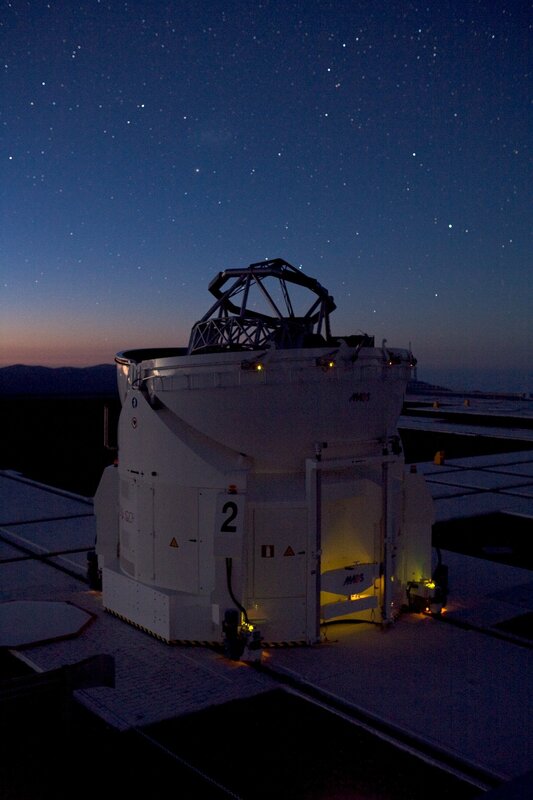 The VLT Interferometer (VLTI) combines starlight captured by two or three 8.2- VLT Unit Telescopes, dramatically increasing the spatial resolution and showing fine details of a large variety of celestial objects. However, most of the time the large telescopes are used for other research purposes. They are therefore only available for interferometric observations during a limited number of nights every year. Thus, in order to exploit the VLTI each night and to achieve the full potential of this unique setup, some other (smaller), dedicated telescopes were included into the overall VLT concept. 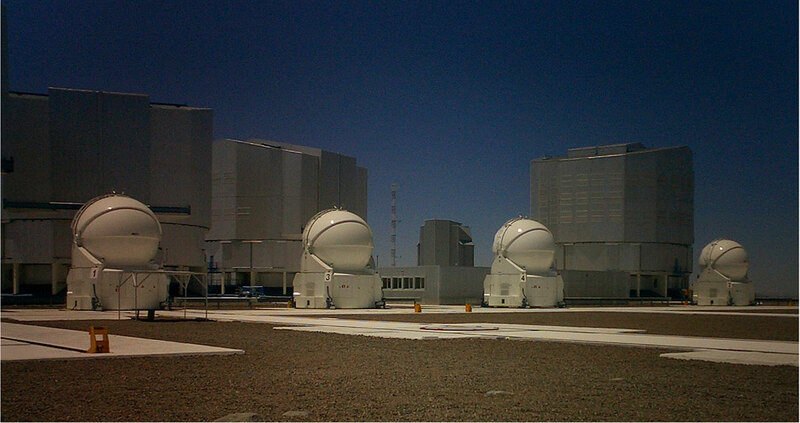 These telescopes, known as the VLTI Auxiliary Telescopes (ATs), are mounted on tracks and can be placed at precisely defined "parking" observing positions on the observatory platform. From these positions, their light beams are fed into the same common focal point via a complex system of reflecting mirrors mounted in an underground system of tunnels. The Auxiliary Telescopes are real technological jewels. They are placed in ultra-compact enclosures, complete with all necessary electronics, an air conditioning system and cooling liquid for thermal control, compressed air for enclosure seals, a hydraulic plant for opening the dome shells, etc. Each AT is also fitted with a transporter that lifts the telescope and relocates it from one station to another. It moves around with its own housing on the top of Paranal, almost like a snail. The VLTI is arguably the world's most advanced optical device of this type. It has already demonstrated its powerful capabilities by addressing several key scientific issues, such as determining the size and the shape of a variety of stars, measuring distances to stars, probing the innermost regions of the proto-planetary discs around young stars or making the first detection by infrared interferometry of an extragalactic object.